Strong oral health and a beautiful smile -- providing you with both is our goal here at VL Dental. We offer a wide variety of treatments in an effort to help you achieve these objectives. 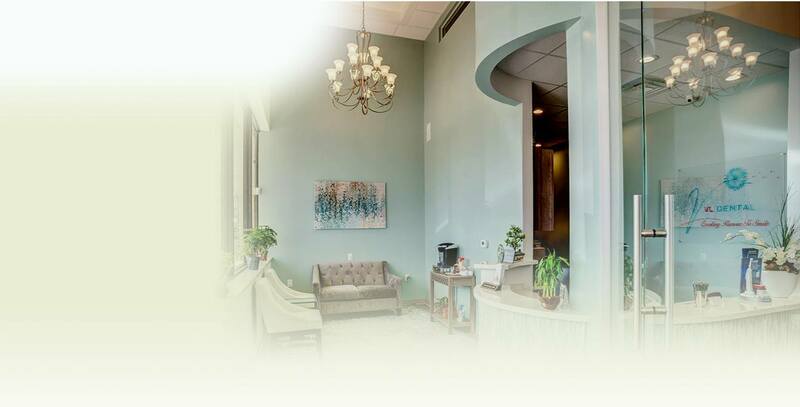 From checkups and cleanings to dental implants, cosmetic treatments, and much more, your dentist in Richmond, Dr. Hoa Vong, truly does it all for patients of every age. Keep reading to learn about the comprehensive services you can find in our state-of-the-art office! and anything else you dream of! When you schedule an appointment with Dr. Vong and our team, we will thoroughly discuss your smile goals and put together a treatment plan to help you achieve them through superior general, preventive, restorative, and cosmetic dentistry services. Preventive dentistry, which works to keep problems like tooth decay, gum disease, and other oral health hazards from developing. Restorative dentistry to get your oral health back on track after cavities, tooth loss, or injury affects its form or function. Dental implants that rebuild a missing tooth/teeth from the root up. Children’s dentistry, for the youngest smiles in your family. A children’s dental plan places a heavy emphasis on prevention, especially. Cosmetic dentistry treatments like porcelain veneers, professional teeth whitening, and metal-free restorations that help you smile your most confident, dazzling smile. Dr. Voa also offers Invisalign in Richmond -- clear braces for adults and teens alike. Periodontal therapy for the treatment of gum disease. Emergency dental care for unexpected toothaches or dental injuries like knocked out teeth, dislodged teeth, broken fillings, crowns, and other issues that affect your smile health. Sleep Apnea Treatment : Stop snoring and start sleeping and breathing deeply with sleep apnea treatment in Richmond, using custom crafted oral appliances, from the VL Dental team. No matter the treatment you need, you will feel confident in your oral health journey with you partner with an expert like Dr. Voa and her team. Are you looking for a new dentist in Richmond, TX? We look forward to meeting with you and your family and providing you all with the care that is most important to you in achieving your goals. You are invited to contact VL Dental to schedule an appointment for you or your loved ones today!